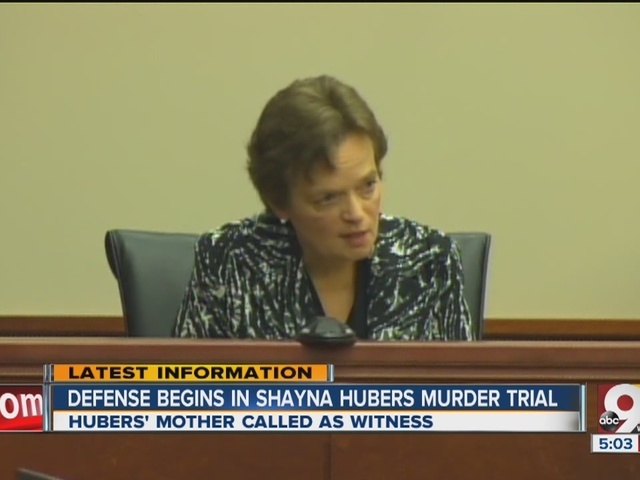 NEWPORT, Ky. – Shayna Hubers' boyfriend was taking a combination of medication that could have caused violent outbursts, an expert toxicologist testified in her murder trial Monday. 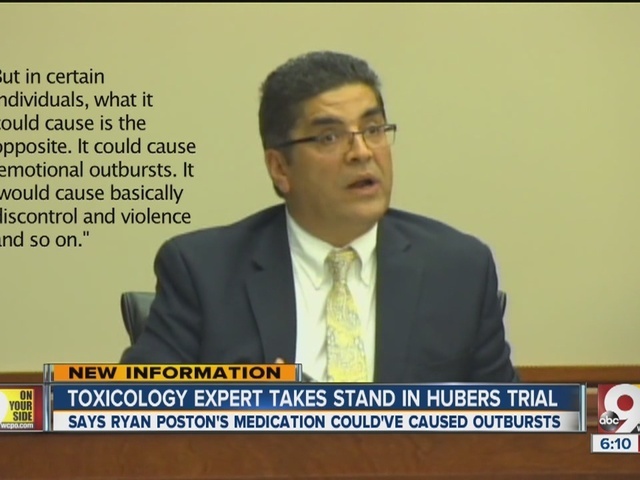 On the first day of defense testimony, Hubers' attorney tried to get the jury to believe there might be something to Hubers' claim that she was acting in self-defense when she shot Ryan Poston six times in his condo on Oct. 12, 2012. Hubers' mother took the stand in the morning and said, basically, that Poston gave her the creeps . She said she feared for her daughter's life because Poston was unstable. The afternoon was devoted to a single expert witness, Dr. Saeed Jortani of the University of Louisville. He testified that Poston had a combination of Xanax and Adderall in his system at the time he died. Both are doctor-prescribed medications that by themselves provide exactly what the patient needs. However, Jortani said, there can be problems when the two drugs combine in the body. "What is interesting about this drug is it's given to people to decrease their panic situation or - it's called anxiolytic, it decreases anxiety. That's what it's made for. But, in certain individuals, what it could cause is the opposite. It could cause emotional outbursts. It would cause basically discontrol and violence and so on," Jortani said. On cross examination by Commonwealth Attorney Michelle Snodgrass, Jortani acknowledged that if the drugs are properly monitored there might not be any aggressive behavior. "Yes, there are good effects of these drugs," Jortani said. "However, the effects on aggression, the effects on violence and things that we see, it doesn't mean that they don't exist and they could have impacted what we see in this case. "It could have, but then again it - you know - we just don't know. That's the whole point." The defense will continue its case Tuesday. The case could go to the jury by the end of the week.